The Mighty Vue 5D features a large 7” x 6”, 5-diopter (2.25x), distortion free crystal clear lens mounted in a high-tech mar-resistant engineered ESD plastic housing. The large, rectangular viewing area enables comfortable viewing with both eyes and provides shadow-free magnification with light coming from both sides. The housing is mounted to an internal spring balanced arm with a 32” reach that will set in any position. 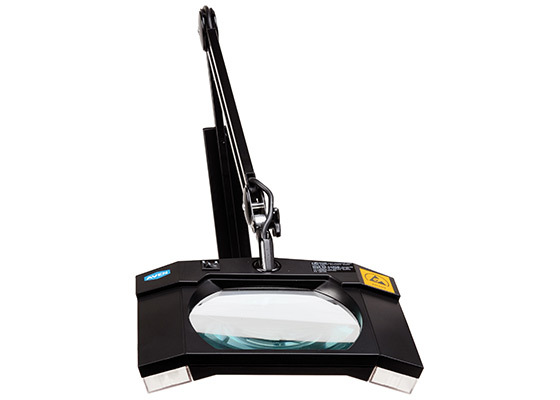 Unit operates at 115 VAC and comes complete with mounting clamp and a 5-foot power cord. 1 year warranty.